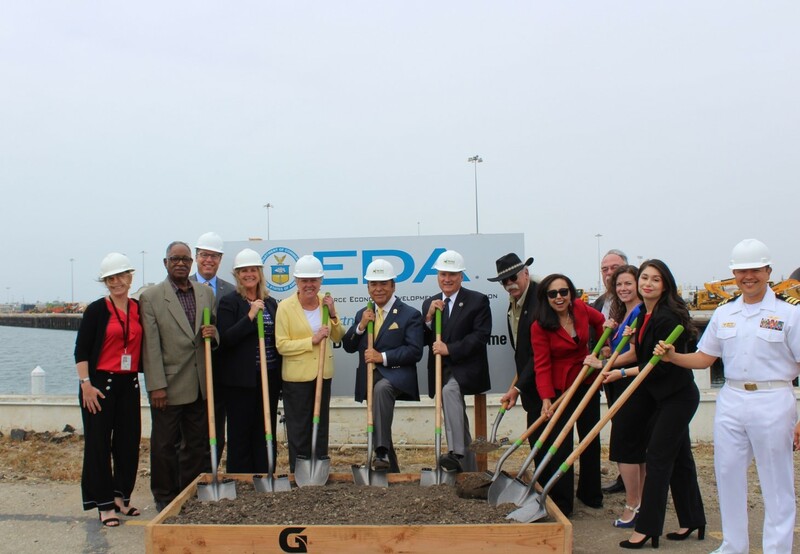 Port Hueneme, CA – Today, Congresswoman Julia Brownley (D-Westlake Village) spoke at the groundbreaking of the Port of Hueneme’s new Intermodal Infrastructure Project. Brownley helped secure a $1.5 million grant from the U.S. Department of Commerce Economic Development Administration (EDA) to fund this project, which will provide critical wharf and berth infrastructure improvements and bring new economic activity to Ventura County. Since coming to Congress, Brownley has been a staunch advocate for the Port of Hueneme, helping to bring grants for infrastructure improvements, environmental infrastructure, and port security enhancements to Ventura County. In December 2014, Congresswoman Brownley expressed her strong support for the Port’s EDA grant application in a letter to the U.S. Department of Commerce. In addition to the $1.5 million grant, the Port is investing $2.32 million for a total project cost of $3.82 million. This project will provide long-term infrastructure enhancements that facilitate the efficient movement of cargo in the most environmentally responsible manner possible. These improvements provide critical upgrades to Port facilities that will maximize utility and operational capabilities to satisfy customer demands for safety, efficiency and environmental sustainability, and mitigate moderate seismic episodes.